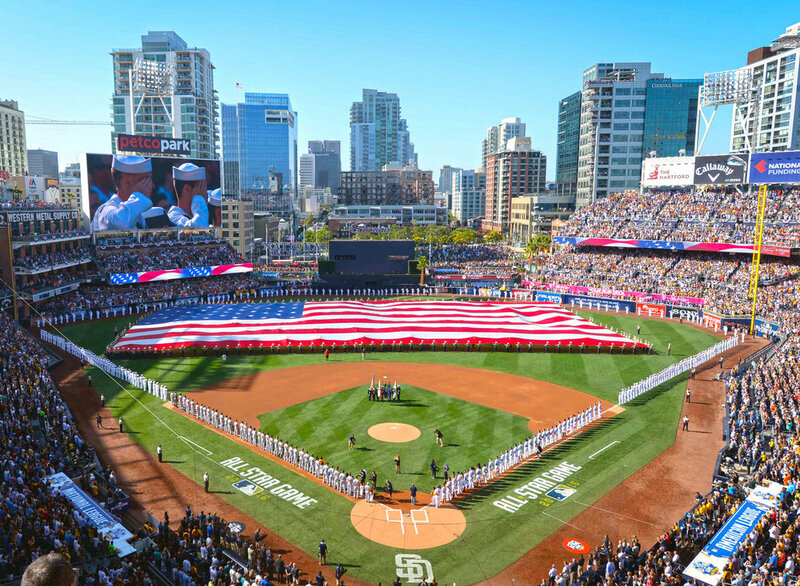 Beautiful downtown San Diego played host to the 87th MLB All-Star Game, and the identity system and visual assets richly reflect the local landscape. A representation of San Diego's familiar local neighborhood archways, backed up by the colors of a vividly blue sun-kissed sky, provides the core of the primary logo. Theme art graphics also embraced relevant area touchpoints such as the exterior architecture of Petco Park, the USS Midway, and the downtown skyline as seen from across Coronado Bay.